Chinese New Year is celebration that goes on for fifteen days! We celebrated by hosting a kids culture party! Two years ago I had the pleasure of bringing a Chinese student into our home for our Chinese New Year cultural play date. This year, I didn’t have much luck! However, I went ahead and celebrated with little one, and his Spanish speaking friends. Since I was already babysitting little one’s two Spanish speaking friends I went ahead and invited a classmate of his, and her Mommy to join us, too. We had lunch at our local Chinese restaurant. The kids tried new foods, and enjoyed looking at the large beautiful pictures of scenery from China. After we had lunch we all headed to my house where we were going to have our Chinese New Year Kids Culture Party! We had story time, crafts, and, games. A Little Mandarin. Chinese Children’s Classics played in the background as we were getting ready to learn about China, make a craft, and learn about the animal of the year. We started talking about where China was located using the globe, and how far it was from our state. Then I had the older 2 kids read Happy Chinese New Year, Kai-lan! (Ni Hao, Kai-lan). We talked about the animal of the year which is the sheep/goat, and how depending on the year you were born you were an animal. The kids were laughing so hard, and enjoyed knowing which animal they were. We had rats, an ox, and a tiger. I passed out coloring pages with all of the animals and years on it. For our craft we made a simple red lantern craft made out of craft foam with a chenille stem handle that was stapled on to it. Each child made their own. As a parting gift, I gave each child a Chinese New Year red envelope with 4 quarters inside. Can you imagine the excitement on the children’s faces! You’d think I was giving them $100 dollars! It is a tradition in Chinese culture to gift a red color envelope that symbolizes good luck and is supposed to ward off evil spirits. 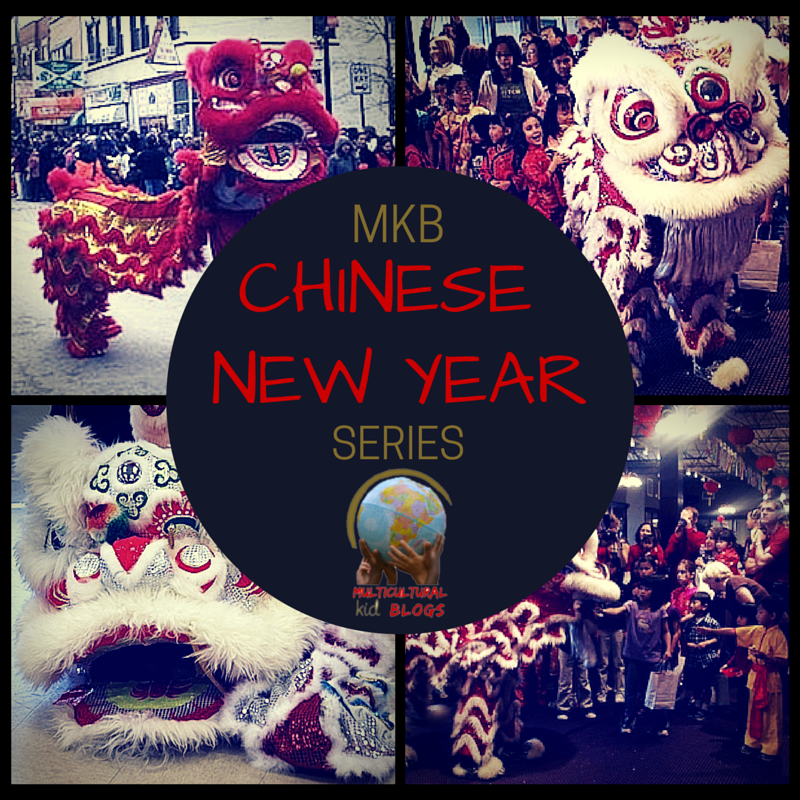 This post is part of the Chinese New Year series and giveaway on +Multicultural Kid Blogs.